Apple became the first publicly traded US company to be valued at $1 trillion after its stock gained 2.5 percent on Thursday, closing at $207.39. 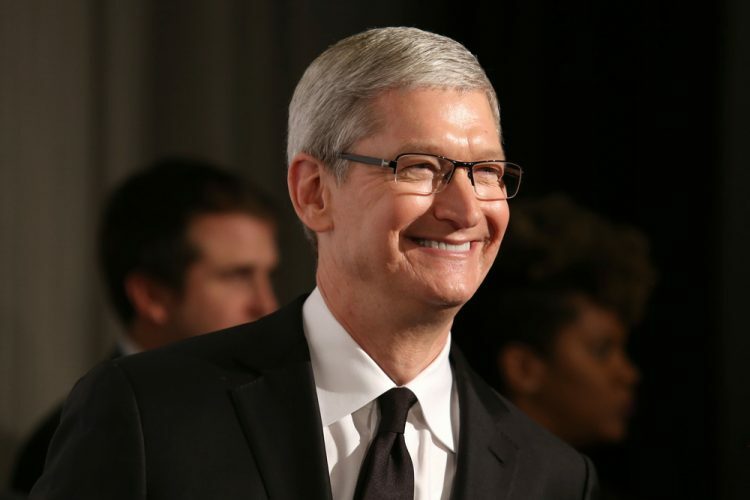 Following the development, the company’s CEO, Tim Cook, send out a memo to more than 120,000 employees, thanking them for their contribution towards the company’s success. He was also quick to point out that the valuation was just a mere ‘milestone’ and not an end in itself. Tim Cook's memo on $AAPL hitting one trillion dollars in market cap, obtained by BuzzFeed. As can be seen above, Cook also remembered Steve Jobs, who he said founded the company with the belief that human creativity would be capable of solving the biggest challenges. He also reminded his employees to focus on the future rather than dwelling on the past, and expressed hope that the company will continue to great work going forward. Reacting to the astronomical valuation of the company he co-founded more than three decades ago, the outspoken Steven Wozniak, said that he was proud about how far the company had come from its early days, but the valuation, in itself, didn’t have a lot of significance to him. According to ‘Woz’, “Of course I’m proud of Apple, but I don’t measure the world by human simplifications like round numbers. A company is great because it is great”. One thing to note here is that Cook’s memo, which had effusive praise for Jobs, didn’t even mention Wozniak, who has famously criticized many of Apple’s recent product strategies, including the Apple Watch. On Reddit in 2016, Woz even wrote that he no longer recognized the company he helped co-found back in 1985. Woz, notably, has been sharply critical of Jobs over the years, saying that the celebrated former Apple CEO didn’t understand computers that well, leading to a number of blunders, like the Apple III and Lisa computers. He also noted that Jobs treated his co-workers badly, saying that there are many such examples of his boorish behavior that people don’t know about.